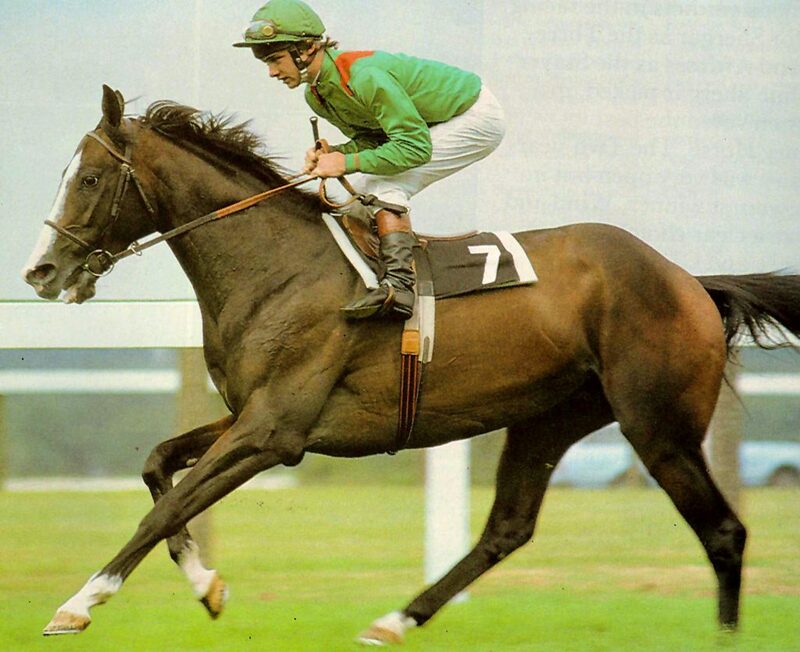 On 3 June 1981 Shergar, ridden by 19-year-old Walter Swinburn, won the Derby by a record ten lengths. The horse’s odds were 11/10 on. That November the thoroughbred was retired to stud at Ballmany Stud, near Newbridge in Ireland, one of two farms owned by the Aga Khan. After producing 35 foals, Shergar was kidnapped just after 8.30pm on a cold February night by eight masked men bearing machine guns. Three of the men knocked at the house of Jim Fitzgerald, the 53-year-old head groom of the stud. Bernard Fitzgerald, the 21-year-old son of Jim, opened the door and had a machine gun thrust into his face. The men forced their way into the living room where Mrs Fitzgerald was with six members of her family. Her husband came running when he heard the commotion. The masked men threatened to kill all the family unless Jim Fitzgerald did as he was told. Mrs Fitzgerald was locked in a room with her five sons and two daughters while Mr Fitzgerald was forced to go outside and identify Shergar’s stable. The gunmen loaded the stallion into a horse box and forced Jim Fitzgerald to lie face down, head covered, in one of the other vehicles. Four hours later, he was freed about 11 km (7 mi) from the stud. Two days after the kidnapping, a ransom demand for £2 million was made. The kidnappers mistakenly believed that the Aga Khan owned Shergar outright, rather than just a share in him along with 34 other owners. It was feared that if a ransom was paid every valuable horse in Britain and Ireland would be targeted. Several IRA strongholds were raided by police looking for the horse, uncovering arms dumps but no racehorses. Four days later, it is believed that the Army Council of the IRA realized that their victim was worthless and ordered him to be put down. Then two members of the IRA went into a stable and machine-gunned Shergar to death.